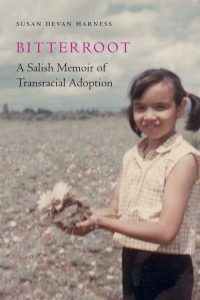 Susan Devan Harness is the author of the new book Bitterroot: A Salish Memoir of Transracial Adoption. 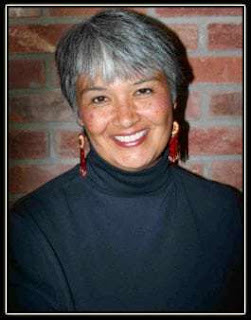 Born on the Flathead Indian Reservation in Montana, she was adopted as a child by a white family. She also has written Mixing Cultural Identies Through Transracial Adoption, and she works at the Tri-Ethnic Center for Prevention Research at Colorado State University. Q: Why did you decide to write this memoir? A: I wrote the memoir to give a face to my scholarly research on transracial Indian adoption. I was in my 40s before I felt safe enough to question [events in my life] and think about how I felt. There was so much pressure to be happy and grateful, and so in my 40s I was able to confront what it meant to be Indian, to be adopted, to not be Indian any more and the extent to which I don’t fit. Everybody tries to say race and culture don’t matter, but in this country they matter a lot. What Indians have faced is the big elephant in the room. 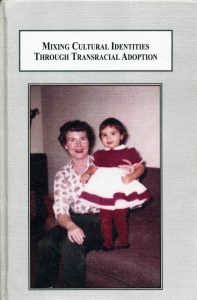 When I was done with my scholarly work, the book Mixing Cultural Identities Through Transracial Adoption, I had a lot of people telling me their experiences. They weren’t my stories to tell, and to carry it further, I felt uncomfortable. If I felt this needed to be told, I need to cowboy up and put myself out there. It was nervewracking, but it was important enough to do it. Q: You write about many difficult topics—what was it like to write the book, and do you feel writing the book changed you? A: Yeah, so there are a couple of things. When I did my master’s research, it was the best and most expensive therapy session I’ve ever done. You resurrect and think about stuff. To bring it forward into this book, it helped me to know the framework I wanted to use. I wanted to make sure I would not shame people. When one writes a memoir, and the person is angry, it becomes a one-dimensional, shameful experience. I didn’t want to do that—I wanted [the people I was writing about] to keep as much dignity as possible. It’s kind of hard. You have to take a step back and ask what was the motivation here? I think it was cathartic, it was painful, there were a lot of tears, and a lot of working through embarrassing things I’d never shared with people, but if I was going to tell the story, I’d better do it all. The most difficult part was when I went up to live on the reservation. That was my come to Jesus moment about belonging—how much is mine to own, and how much is the community’s to own. Q: What do your family members think about the memoir? A: I’ve had two of my family members read the whole thing. One got all the way through. He’s been really proud. He’s my birth brother. He said sometimes he goes back and rereads some of the chapters, which to me is a compliment. The others have read portions I’ve written about them, and I got good feedback. It’s been really supportive, really positive. Both my parents have passed and my stepparents have passed. The people I have the most concern about are gone. Q: What were some of the differences for you in writing the scholarly book versus the memoir? A: Doing the scholarly book, you took your classes, you’re working on some aspect of it, you pull it together and write an extended paper. I was able to pound that out in a month to a month and a half of 40-hour weeks. When I went into the master’s in creative nonfiction, I said, I can do this in the same amount of time, and [my advisor] started laughing. I spent one year collecting facts and analyzing them, another year sifting through a lifetime and weighing it against other people’s feelings and perceptions, and [more time] processing it. It took me three years. What I enjoyed was that it made me go back and think about amazing experiences I had—living so rural, as an only child; when I was traveling through the Crow reservation and had the school lockdowns; there were all these feelings, [including feeling] threatened. As an American Indian woman, that’s what you grow up with. I didn’t realize how much it affected me until I was well into adulthood. It took me longer than I thought. I sifted through more information than I thought I would. I’m really proud of the outcome. I’m playing with other memoirs. I don’t know if I have that in me right now. Q: I was going to ask you what you’re working on now. A: I have a lot of ideas in the mix. Nothing’s jelling yet. You stir the soup and taste it every so often. For a while, it’s going to be shorter pieces, not as focused as this. It’s definitely going to be creative nonfiction—once I found that it became my first love. Q: What do you hope readers take away from your book? A: Especially now with the child separation issues, I really hope readers take away that you aren’t moving children from one space to another. It’s moving a human being who has a whole cultural-social memory of who they are. Anybody who feels transracial adoption is good or bad thing and wants to distill it into easy pieces is unaware…how complicated this is. It will affect people for [a lifetime]. There was very little on American Indian adoption in the literature. Most of it was filled with psychological distress and dysfunction. I had done an interview for the Denver Post, and one of the comments was that those Indian adoptees are all messed up. Q: What were you told? A: The message I got growing up is that Indians are stupid, not very intelligent, so if you’re having trouble in school you’re not going to get a lot of help because that’s who you are. It affects how education is looked at, how college as a possibility is looked at. I was given the message that Indian boys fight all the time and Indian girls are sluts. It’s a really difficult thing when you’re a teenage girl. Some of the other messages were, you’re dirty. You’re government-subsidized. It took my mom a lot of patience explaining what was going on there. I was very talented in music and writing. I was good at memorizing things, but no good at math or detail-oriented things. If that’s what someone with power over you is deciding [is] important, you do start thinking maybe you’re not as smart. A: What I learned with my first book is that others felt very similar to what I did about this. One woman said, You know what it’s like. It was healing for me to hear. Another, one of the guys I interviewed, said, I wear my Birkenstocks and Banana Republic clothes, and I go visit my tribe and they’re wearing Stetsons and Wranglers. I’m the whitest Indian you’re ever going to see. I said thank you. It illustrated that space we live in.